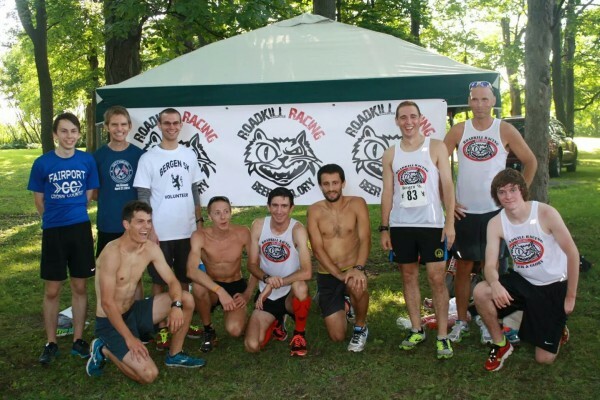 Early August marks the unofficial start to the Cross Country season with the Bergen 5k. This race serves as the USAF Niagara 5k Championship and race director Eric Boyce pulls no stops with putting together one of the fastest races in New York. The top-60 finishers ALL BROKE 17 MINUTES! This is nearly unheard of for a smallish (365 finishers) local road 5k. So how did the Roadkill racers fair? 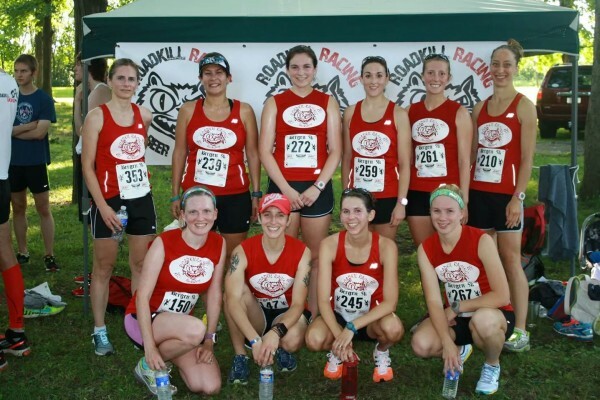 The Bergen 5k was the ladies first scored team outing since formation, and boy was it a great debut! 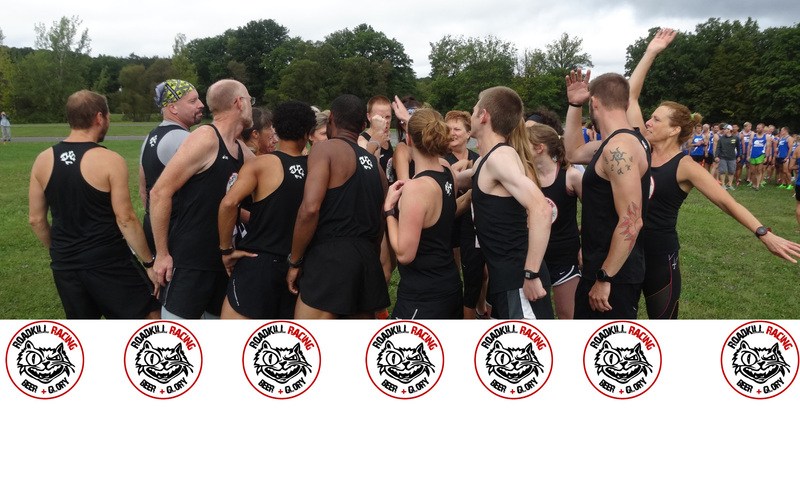 Not only were they able to field two complete teams (3-5 runners with the top 3 scoring), nearly everyone ran a PR! No small feat for an individual let alone an entire team. Leading the way was Molly Romano (20:09) followed by Erin Mahoney (21:42), Ashlie Roberts (21:43), Lisa Perks (21:45) and Lindsay Rynders (22:51) rounding out the first team. Team #2 was lead by newcomer Monique Golossi (22:13) followed by Lynn Gottfried (23:39), Lauryn Recchia (24:11), and Heather Ostrander (26:28). Congratulations to all the ladies on a successful debut! Similar to the women’s team, the men had outstanding performances all around. The teams for the men are comprised of 5-8 runners with the top 5 scoring. Missing from the group due to injury were Kenny Goodfellow and David Rappleyea, as well as Brett Smith with illness and Mark Streb who had a prior engagement. These gaps were filled well by some new and young RkR members. Lead by Buffalonian and new member Dan Snitzer (16:08) the men finished 4th overall. The remaining top-5 of veteran Josh Perks (16:17), Mathew Roberts (16:25), newcomers Pete Gratien (16:34) and Adam Staveski (16:34) packed it in nicely fo a team average of 16:24. Andrew Caffrey (18:24) and Joe Williams (18:30) rounded out the team. The newest member, Andy Penner (17:08), finished well running his fastest 5k in quite sometime. Looking forward to Cross Country as both teams seem poised for success!